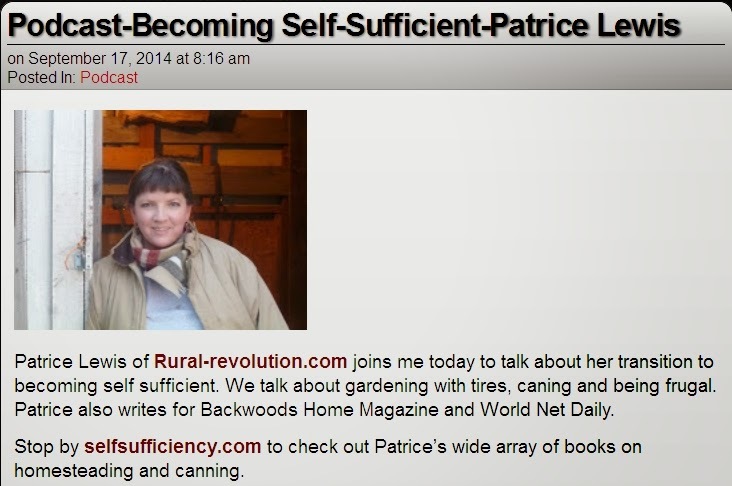 Here's a podcast interview I recently did with Mark Goodwin of the Prepper Recon on the subject of self-sufficiency. Prepper Recon is a cool beans site with excellent preparedness info, including podcasts, gear, fiction, and other goodies. Well worth checking out. 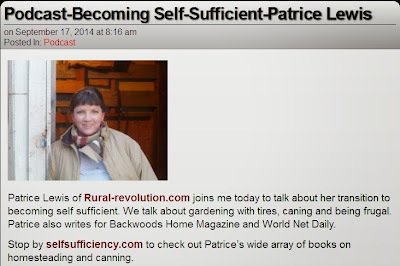 In fact, Mark impressed me so much that I featured him in an upcoming Backwoods Home Magazine article I just submitted. I thought that was wonderful! The whole thing was good, but I really LOVED the bear poop story. :) Nothing better than little kid stories.